Dragons have hatched in Year 3! 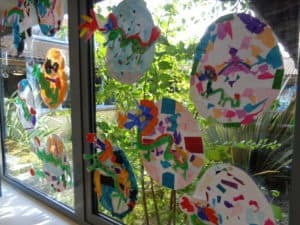 This week dragons have hatched in the Year 3 corridor. 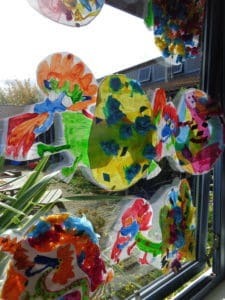 They have appeared on the window! We created our work using collage and paint. We demonstrated to our teachers that we could follow step by step instructions to complete our drawings of fiery dragons. We then painted them ready to hatch. Who knows what will appear next week!